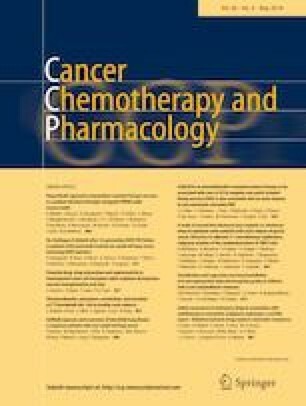 Platinum-refractory or -resistant ovarian cancer (PRROC) is associated with poor prognosis and low response to further chemotherapy. We investigated predictors of effectiveness of following treatments for PRROC. We included 380 patients diagnosed with stage I–IV ovarian, fallopian tube, or primary peritoneal cancer, who were treated at the National Cancer Center Hospital in Japan from January 2007 to December 2014 and recurred after initial treatment, who had a platinum-refractory or -resistant relapses and received chemotherapy, in this single-center, retrospective study. We investigated factors related to response to following treatment, and to progression-free survival (PFS). Among 183 patients (48%) who suffered recurrences, 62 (34%) developed PRROC after chemotherapy. In multivariate analysis, platinum-free interval (PFI) < 3 months was independently associated with progressive disease (odds ratio [OR] 6.043, 95% confidence interval [CI] 1.485–24.595, P = 0.012). Median PFS was 139 days (95% CI 19.4–258) among patients with PFI > 3 months, but was 57 days (95% CI 34.7–79.2) among those with PFI < 3 months. In multivariate analysis, two factors, performance status (PS) 1–2 (HR 1.915, 95% CI 1.074–3.415, P = 0.028) and PFI < 3 months (HR 1.943, 95% CI 1.109–3.403, P = 0.02), were independently associated with worse PFS. PS 1–2 and PFI < 3 months were significant predictors of poor response to following treatment for PRROC. Risks and benefits of treatment should be frankly discussed with patients who have these characteristics.